Wind energy and other renewable energy will revitalize rural communities rich in energy resources. To maximize the impact, there is a critical need for new and upgraded transmission capacity to unlock the renewable energy potential found in rural America. Both our economy and our future depend on moving power from the remote regions of the Great Plains and Upper Midwest to the demand centers that need it most. 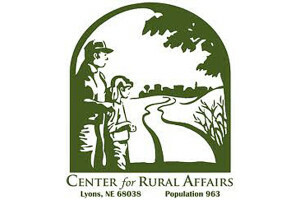 The Center for Rural Affairs goal is to better assist landowners and other rural stakeholders to ensure that clean energy transmission is built in an equitable, sustainable way – a way that works best for rural citizens and their communities. This entry was posted in Nebraska / Midwest News, NewsBlog and tagged Center for Rural Affairs, Map of Clean Energy Transmission Projects, Nebraskans for Solar, New Energy Fact Sheets on August 27, 2015 by Helen Deffenbacher. When it comes to power, Nebraska is unique from every other state. That’s because our state is the only one in the nation with public power, giving Nebraskans the ability to elect board members that will represent our interests when it comes to powering our homes and businesses. To insure that we are being properly represented, Nebraskans must be active in learning about energy in the state and what public power districts are planning for the future. This entry was posted in Nebraska / Midwest News, NewsBlog and tagged Center for Rural Affairs, LAUREN KOLOJEJCHICK-KOTCH, Nebraska Public Power District (NPPD) on August 26, 2015 by Helen Deffenbacher. Transmission is the backbone of our electric system and a foundation for the Great Plains region’s economic growth and environmental sustainability. Expanding and upgrading the electric transmission network will create jobs, strengthen the economy, spur the development and use of clean and renewable energy sources, and ensure a secure and modern power system. The Great Plains Clean Energy Transmission Summit, to be held on October 21, 2013, in the Twin Cities of Minnesota, will feature a series of panel discussions with clean energy and transmission industry representatives, academic leaders, policymakers, as well as keynote addresses from the leading experts of the United States. This entry was posted in NewsBlog and tagged Americans for a Clean Energy Grid, Center for Rural Affairs, Energy Future Coalition, Great Plains Institute on October 10, 2013 by Helen Deffenbacher. This week, the Center for Rural Affairs is circulating a letter among rural community leaders, urging the Nebraska Public Power District (NPPD) to make investments in rural and small town Nebraska’s energy future by purchasing locally produced wind power at today’s historically low rates. Investing in Nebraska wind means making an investment in our communities’ future, which is crucial in rural Nebraska. Low prices of wind generated electricity, combined with the local economic development wind projects create and growing health concerns about coal-fired power, make a compelling argument for NPPD to invest in wind right now . . . This entry was posted in NewsBlog and tagged Center for Rural Affairs, NPPD on October 10, 2013 by Helen Deffenbacher.